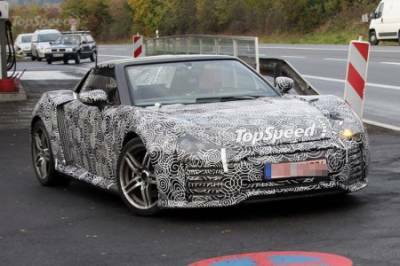 Do not hurry to rejoice in spite of the similarities in the spy shots captured are not production-version of the concept Audi e-Tron Spyder. This is - Roding - double the average sports car engine layout, which was created by a small German automaker Roding Automobile. First prototype of the Roding was seen on tests of last year, and while he was impressed with the ugliest car in the world. Apparently, the engineers took this into account, otherwise, according to them, they can "set new standards in the segment of roadsters." It should be noted that some errors had been made ​​with due diligence. The new roadster him Roding is the use of carbon-fiber chassis of the fiber and powerful turbocharged engine. Thus it was possible to achieve maximum performance - all thanks to low weight and supercharged six-cylinder engine with a capacity of 300 horsepower. It will be a couple of six-speed manual transmission.